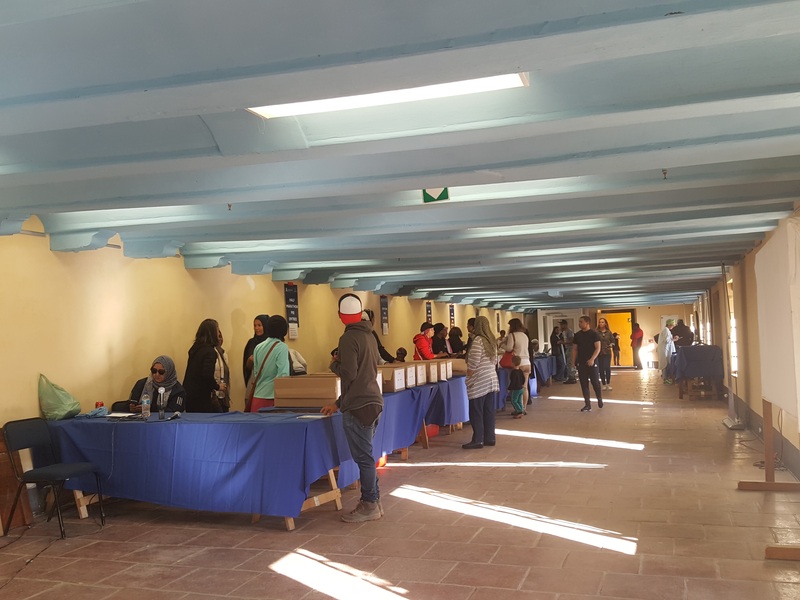 The registration was done online and the experience was smooth. 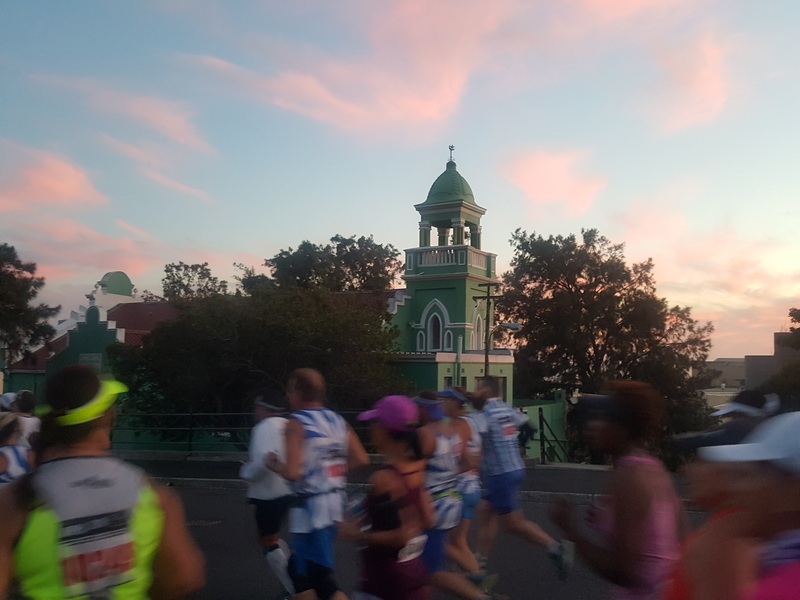 I collected the bib and race license at the Castle of Good Hope a day before the run. 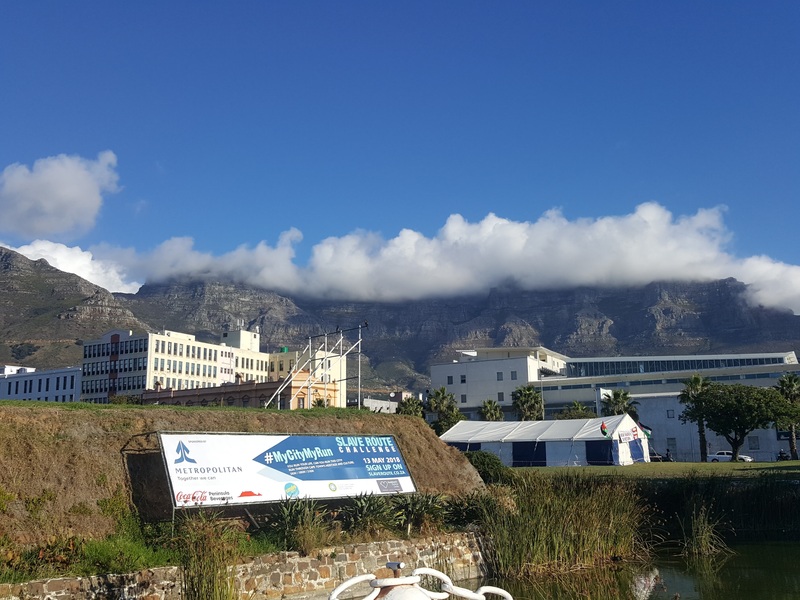 It was autumn coming to winter in Cape Town and the weather was lovely with blue skies throughout my trip. 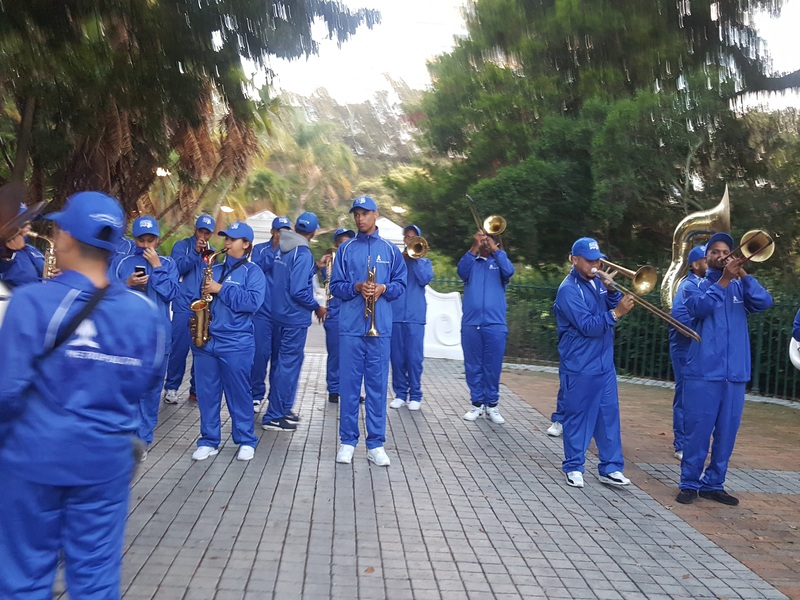 The run started sharp at 7am in front of the City Hall with three thousand participants in the half marathon category, followed by 10km and 5km every 15 minutes after. The runners were diverse and many runners in hijab ran along with me. 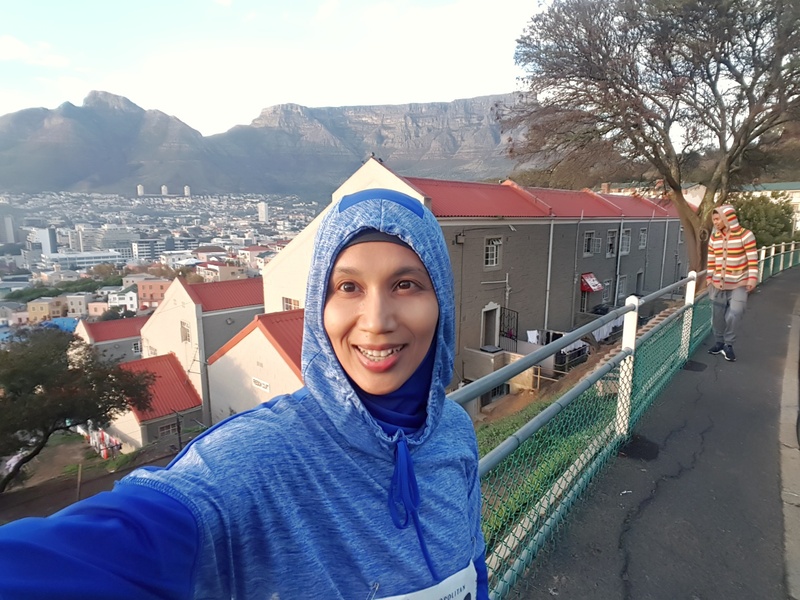 What I like about running in hijab is getting the salams and greetings from other fellow muslims along the way. I look like many of them – the Cape Malays. 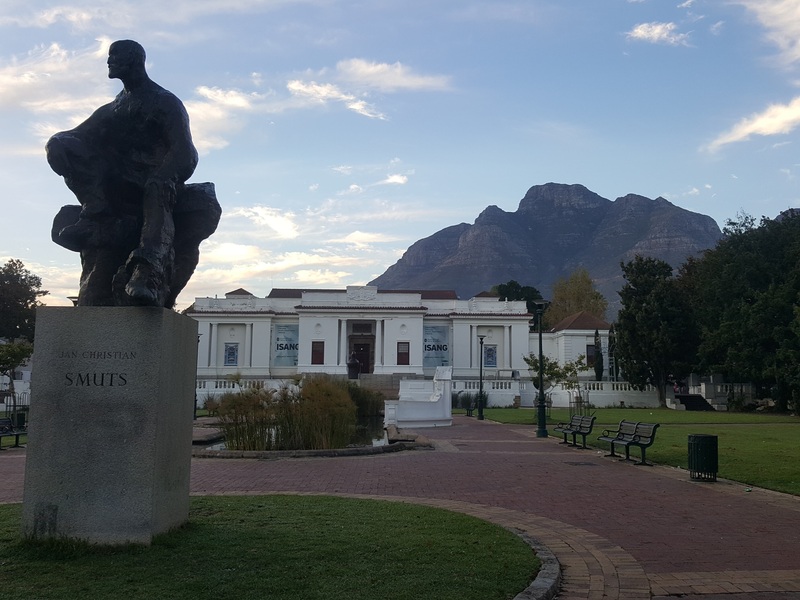 The 21km route took me along the beautiful neighborhood in the city of Cape Town with the sunrise shining upon gorgeous Table Mountain on the backdrop, Company Garden with a bit of a incline the first 5km. 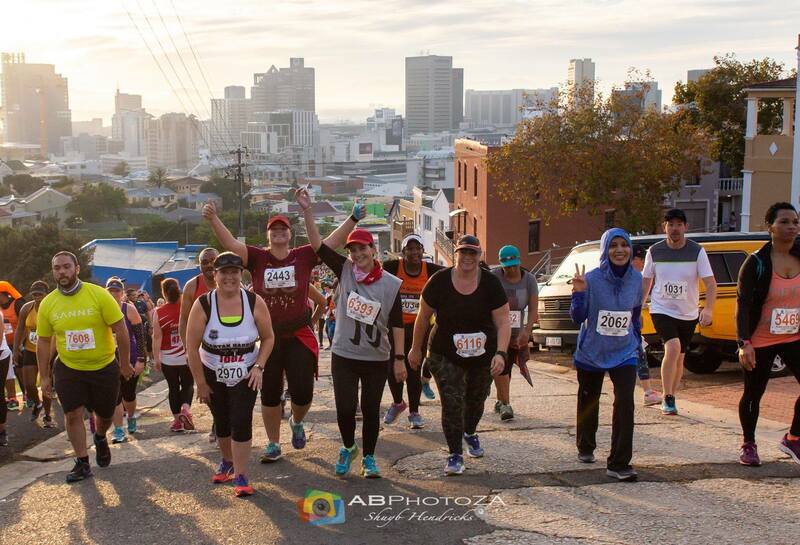 It was followed by a steep climb on Pentz Road 8km onward up to the top of Bo Kaap neighborhood. 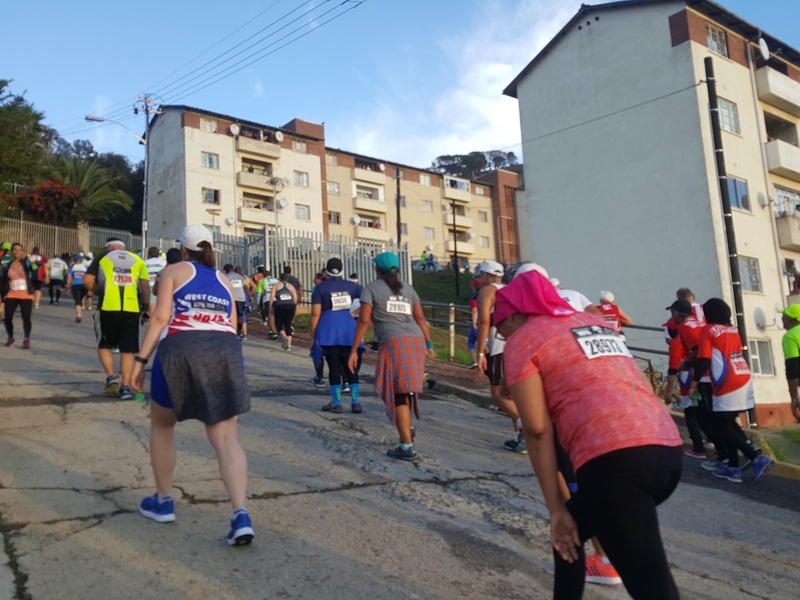 The runners were cheered by the residents, volunteers and locals along the way, serving local delicacies till the top of the climb. 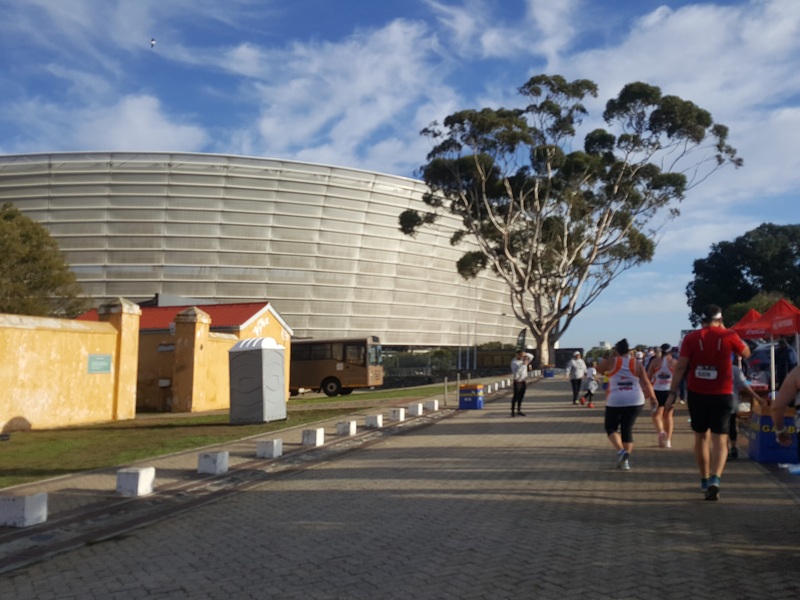 The run continued on flat roads towards the Stadium, Green Point area along the waterfront and back to the City Hall. Mini water bags at water stations - Cute! 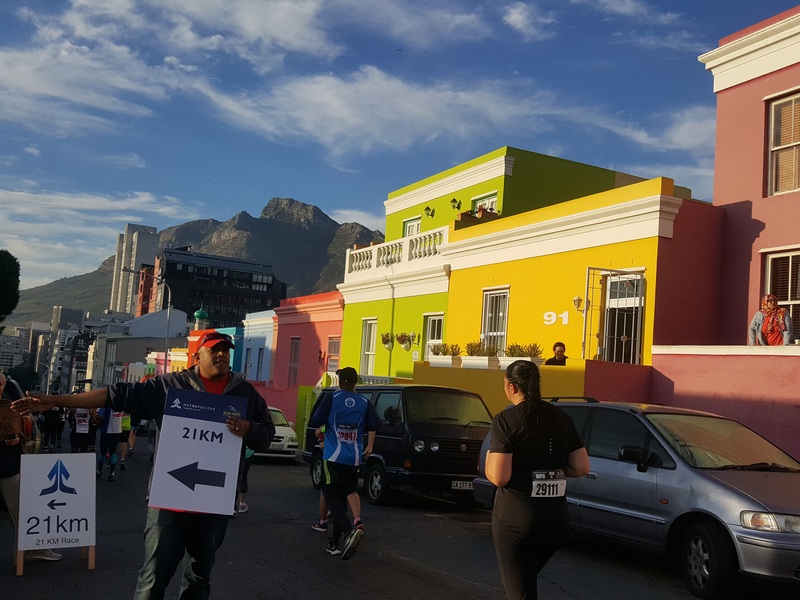 There were volunteers every 100 meters, cheering and managing the traffic throughout the run! They dressed up in tutus, skirts and other fancy attires. 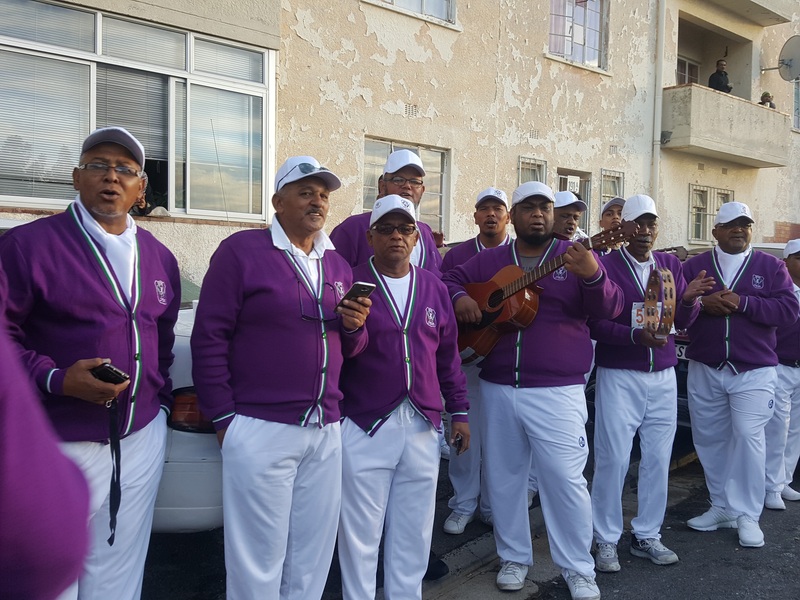 Not only that, the residents at Bo Kaap area came out from their homes and cheer! 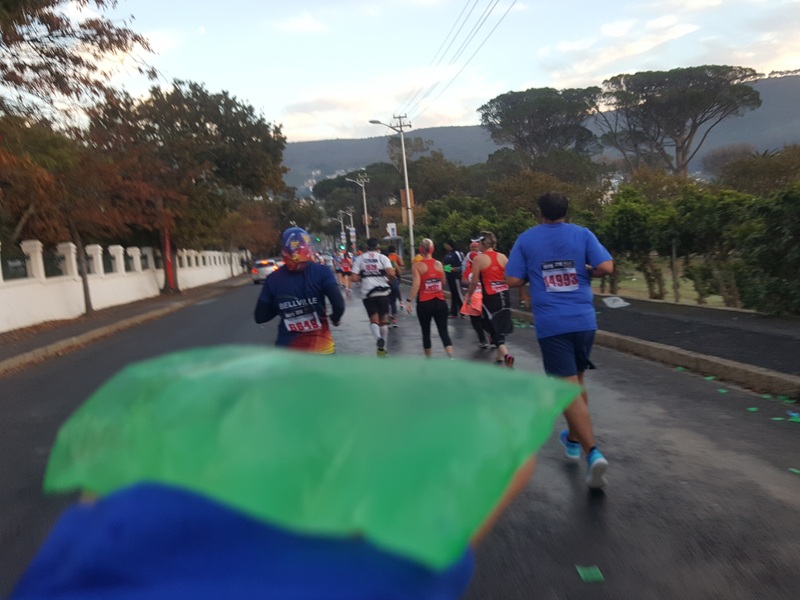 The runners were close knit and friendly. 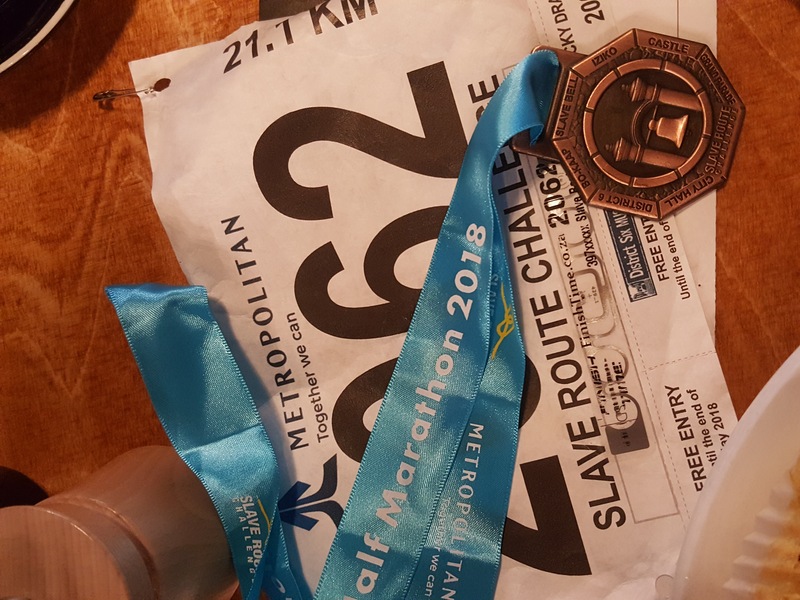 Alhamdulillah, I felt at home and made new friends at the run. A coke lover like me would just find the drinks super refreshing. They even had coke zero at water stations. 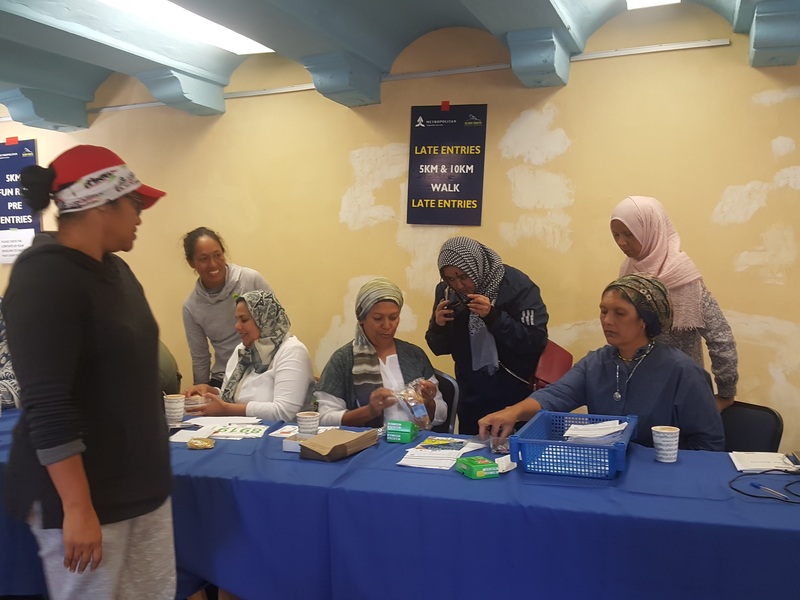 There was a water shortage in Cape Town and they provided drinking water packed in small green and blue plastic bags. 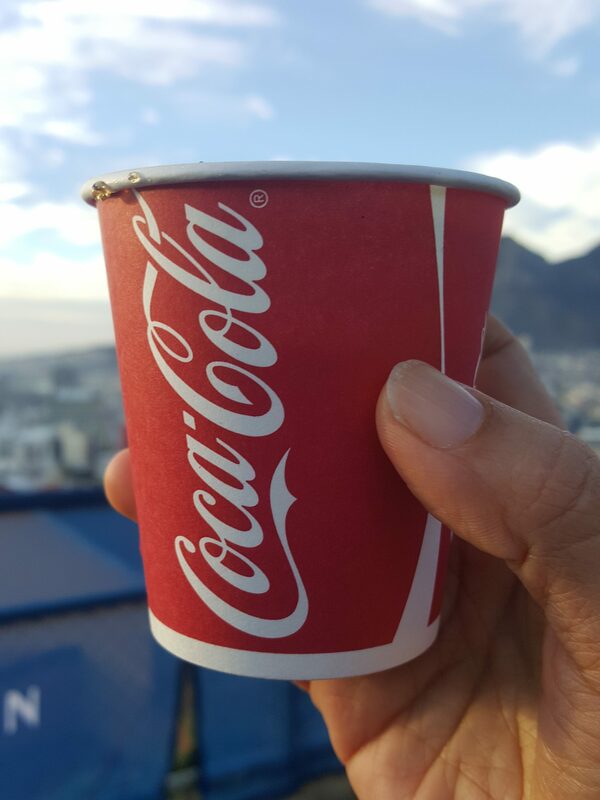 Only coke was served in cups. 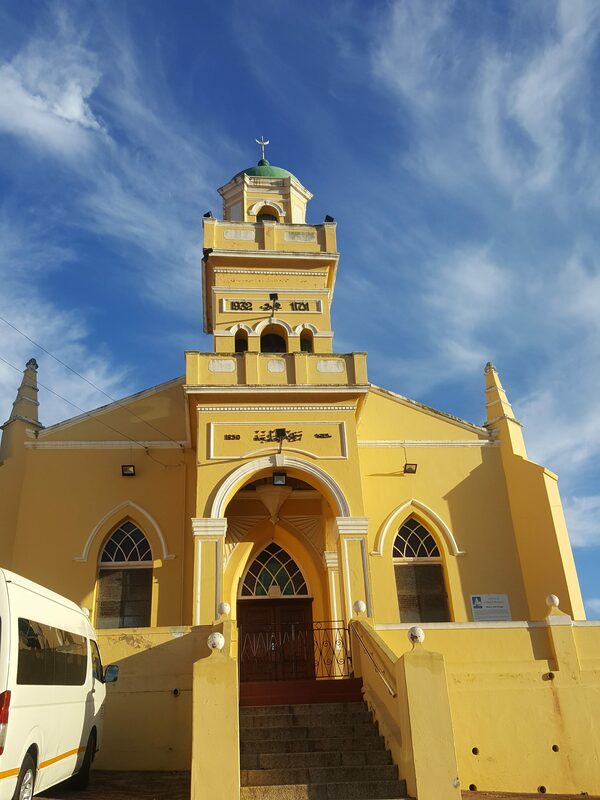 The route took me along historical and tourist sites on foot.It was a lovely and relaxing morning run. 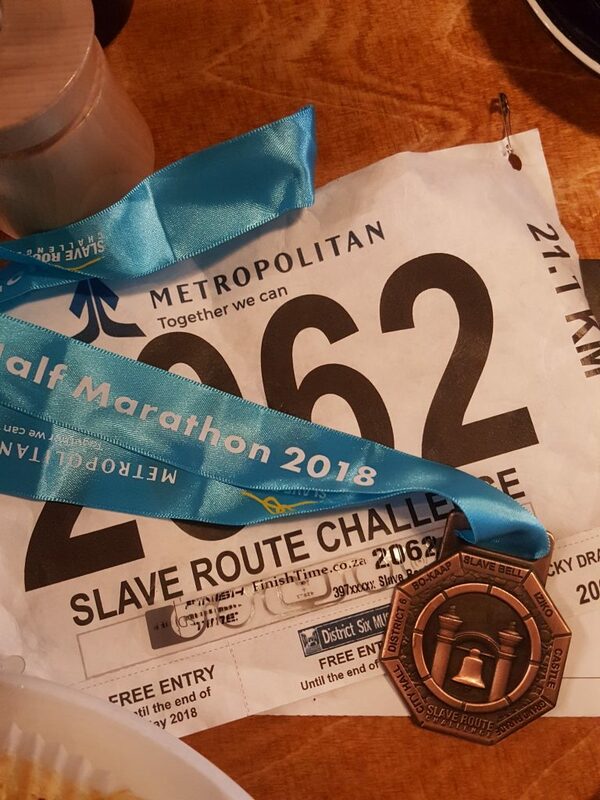 The cut off time was 3 hours 30 minutes and I took my time to finish the race. I stopped many times to capture beautiful moments. I spotted four mosques and suraus along the run. 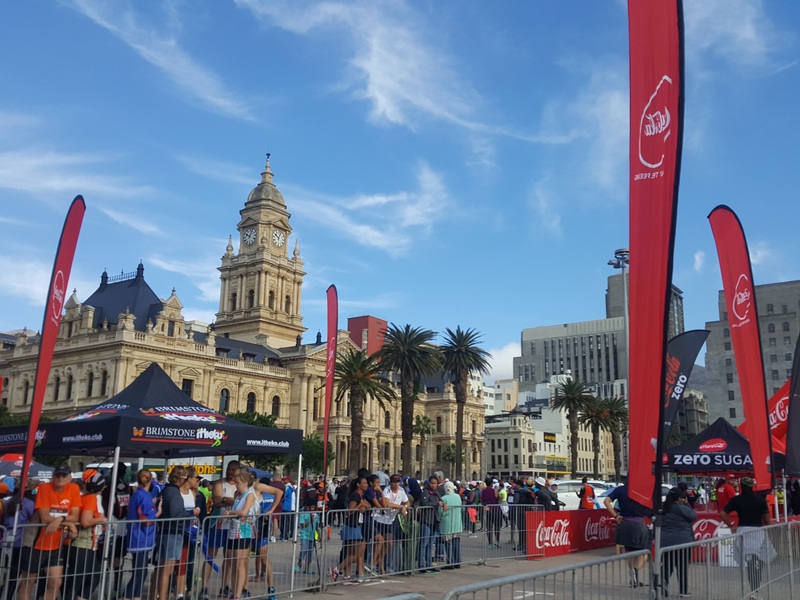 Even the race kit area was held at a historical site – Castle of Good Hope. 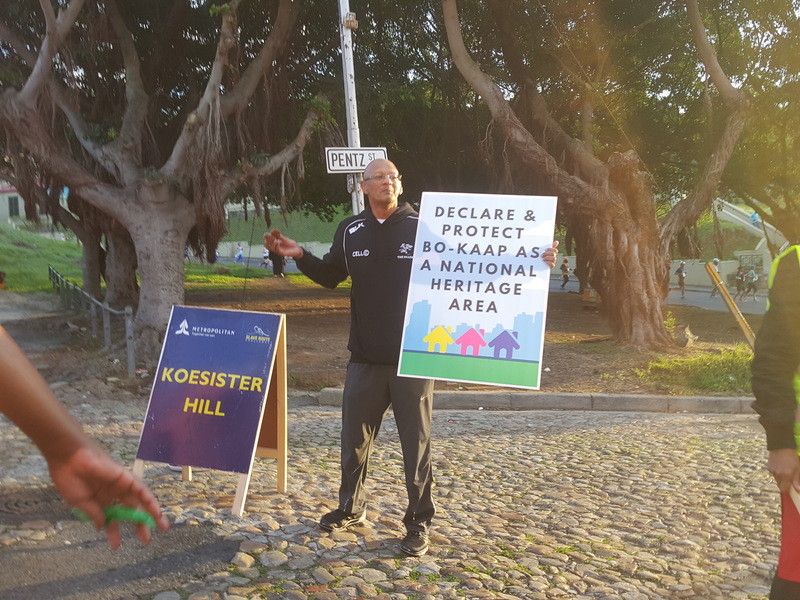 All runners received free entrance ticket to District Six, also a historical site. 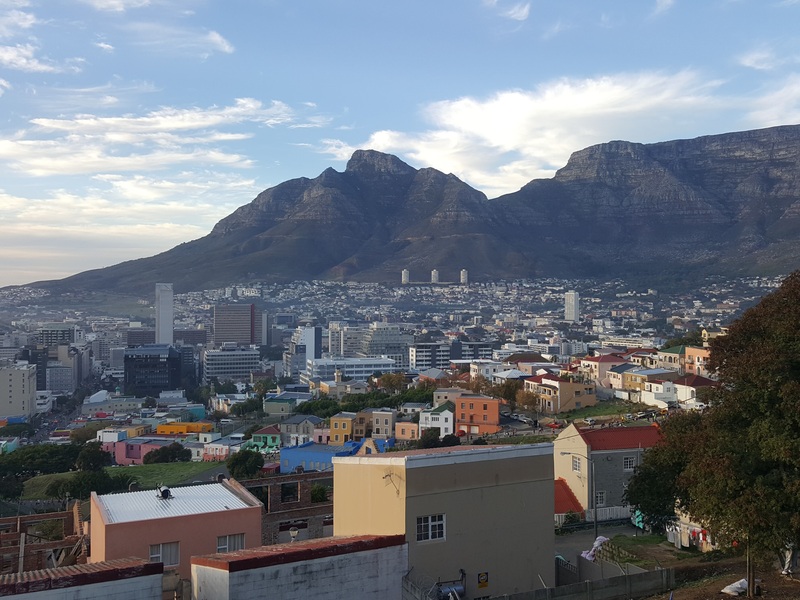 I would love to run again at Cape Town! It was simply an amazing experience! This entry was posted in Be Inspired, Events, General, Running, Running and tagged Bo Kaap, Cape Malay, half marathon, hijabi running, leisure runner, Mother City, Mother's Day run, mycitymyrun, Nashata, running event in cape town, running in south africa, slave route challenge, slave route challenge cape town by eliza noordin. Bookmark the permalink. What a beautiful write up! 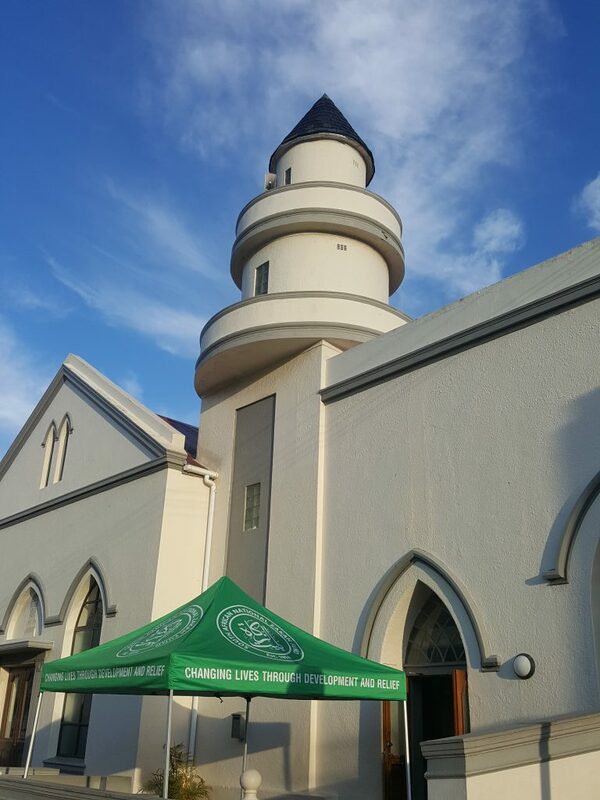 Shukran for the ABPHOTOZA photo credit.